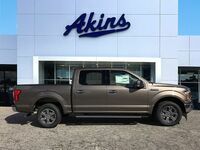 If you’re a truck lover, this should be your favorite time of the year, because this is the time of year when the new pickup truck lineups start hitting lots like ours here at Akins Ford near Atlanta, GA. 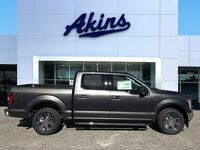 This is exciting in and of itself, but it’s even more exciting because this also marks the next round of the Ford F-150 versus Chevy Silverado 1500 rivalry. And what a rivalry it’s been – or, at least, what a rivalry it used to be. 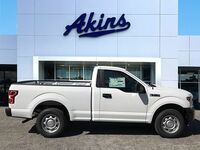 Ford has always come out on top when comparing its full-size pickup truck lineup to Chevy’s full-size pickup truck lineup, but the competition used to be a lot closer. 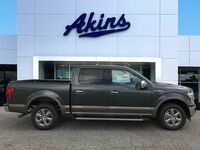 Lately, it seems Ford just keeps pulling further and further away from Chevy, and this year is no different – as you’ll see in this 2019 Ford F-150 versus 2019 Chevrolet Silverado 1500 model comparison. 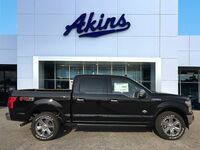 We mentioned in our introduction that the 2019 Ford F-150 lineup continues the lineup’s knack for besting the Silverado at every turn – and it all starts under the hood. 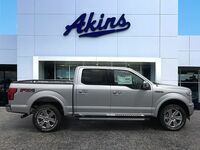 That’s because the 2019 Ford F-150 lineup features more horsepower and more torque than the 2019 Chevy Silverado 1500. 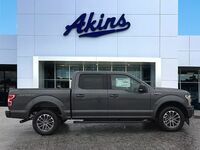 More specifically, the 2019 F-150 lineup tops out at 450 horsepower and 510 pound-feet of torque, whereas the 2019 Silverado 1500 lineup tops out at only 420 horsepower and 460 pound-feet of torque. 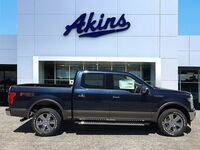 The 2019 Ford F-150 lineup is also more capable than the 2019 Chevrolet Silverado 1500 lineup, offering a max towing rating of 13,200 pounds and a max payload rating of 3,270 pounds while the 2019 Silverado 1500 lineup features a max towing rating of only 12,200 pounds and a max payload rating of only 2,280 pounds.